Online ‘meme’s can be seen flooding social media expressing concerns that Singaporeans face. One netizen, Dan, took to Facebook with a meme about apartment blocks in the future as he saw it, where the blocks were being divided into ‘smoking blocks’ and ‘non-smoking blocks’. His projection was complete with a designated yellow box around the entire block to indicate the area in which people are allowed to smoke. Cannot smoke in own house, cannot run naked in own house, cannot drink in coffeeshop after midnight. Are we becoming a police state? 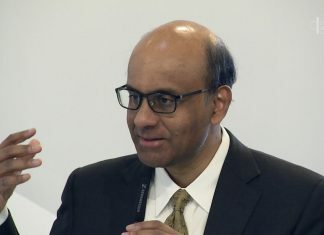 Another, Francis ‘Gemuk’ Teo, griped about how even at coffee shops, rules on drinking hours were enforced a lot more, even asking patrons to leave by midnight. I wonder what other laws they will come up with ???????? There were also memes created detailing the endless list of rules imposed upon HDB-dwellers by the year 2048. 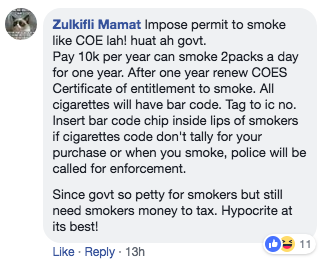 <Reader Contribution by Jason>Singaporeans don't own houses so cannot smoke? Though these memes were created in jest, to shed some light-heartedness upon issues that have caused much discord in the country, they all do have a common underlying message amongst them.